"Twilight" star Kellan Lutz is getting ready to wage "War" on the box office. Kellan has signed on to play the Greek mythological god of the sea, Poseidon, in the new big screen film "War of the Gods," according to Variety. He joins the already previously announced Mickey Rourke, Freida Pinto and Henry Cavill in the cast. The film follows Theseus (Cavill), a young warrior who leads his men into battle against immortal Greek gods. Production is slated to begin in April and wrap in June. 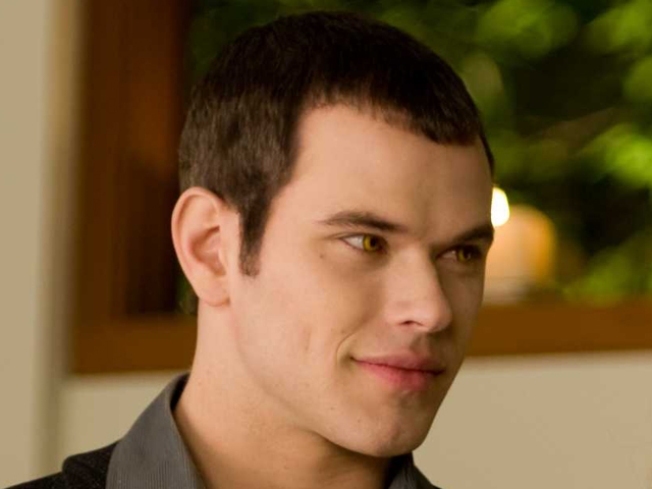 Kellan – who plays vampire Emmett Cullen in "The Twilight Saga" franchise – will next be seen in the big screen reboot of "A Nightmare On Elm Street," starring Jackie Earle Haley as Freddie Krueger. "Elm Street" hits theaters on April 30. He'll reprise his role as Emmett when "The Twilight Saga: Eclipse" hits theaters on June 30.